As a forward-thinking organisation, we seek new perspectives on old challenges to drive innovation for our industries, improve production efficiency, and deliver solutions and services that help us grow and be profitable. Leadership: the next generation of agricultural leaders are dynamic, entrepreneurial, commercially savvy and embrace agtech. It’s up to us to provide them with the support, networks and services to ensure the industry’s bright future. Only through the combined efforts of our primary producers, innovators, problem solvers and new businesses will our rural industries thrive. AgriFutures Australia will be at the forefront of innovation to ensure we are ready to harness the potential of our growing sector, a mission that will be guided by the four arenas as set out in our Strategic R&D Plan. Being useful to the people who produce our food and fibre is a challenge anyone would love once they understand it according to Observant’s Matthew Pryor. Sector supporters have a role to play by ensuring entrepreneurs are on the right track, developing practical solutions to real problems. 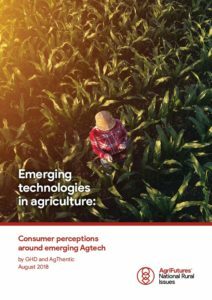 Agtech is well and truly on the map and Australia is well placed to be a global leader according to AgriDigital’s Emma Weston. 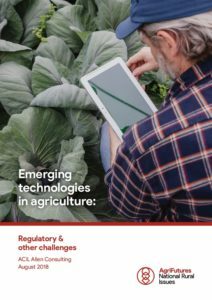 Our latest report highlights how a new wave of emerging technologies are ripe for the picking to transform Australian agriculture – and there are plenty of opportunities our producers, entrepreneurs and stakeholders can take advantage of. Farmer and early tech adopter Andrew Carruthers says agtech solutions need to be simple, they need to work for you and add something to your business. 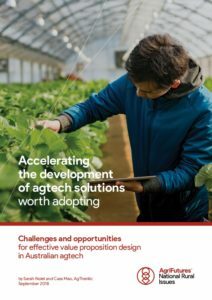 Finding the right tech supplier is part of the challenge, but the opportunities for producers are enormous.